VM: Above all, Erik, please accept my congratulations on the release of the long-awaited new Rocket Scientists' album, "Revolution Road". Your activity on the Progressive Rock front:-) is not something sealed with seven seals for the connoisseurs of the genre, so I would like to touch also some aspects of your life lying outside your musical work - with your permission. Your name instantly associates with Scandinavia, bringing me the idea that you are a remote descendant of the Vikings - is that right? EN: Thank you for your compliments and congratulations, Vitaly -- I really appreciate them. We really try to keep melody and memorable songwriting at the forefront of all of our music, regardless of how progressive the arrangements become. I think that is what is great about so many of the 70s prog bands like Yes, Procol Harum, Pink Floyd, etc. They all wrote great songs to begin with. About my name: yes, we Norlanders came from Sweden originally. I was born in the United States, but my grandparents emigrated from Sweden in the 1920s. They actually came to the USA on a ship called the Majestic which was the sister ship to the Titanic. I'm glad they chose the right boat! VM: Do you have any family background in the arts? EN: Interestingly enough, no, not really. Most of my family are business people -- stockbrokers, accountants, bankers. I think the closest relative that was involved in the arts is my great grandfather. He was a medical doctor by trade, but he was also a wonderful painter. He did painting only as a hobby, but his works are really fantastic. My wife Lana and I have several of his paintings hanging in our house. VM: You are a musician, songwriter, sound engineer, producer and businessman all in one person. It is obviously very hard to fulfill all these duties simultaneously. I am sure you have little spare time - for leisure in particular, but nevertheless, what do you like to do most of all when you relax? EN: I like to read a lot. I am fan of both 20th century science fiction and also older English literature, everything from Shakespeare to Shelley. For the science fiction side, my favorite writers are Alfred Bester, Isaac Asimov, Frank Herbert and Robert Heinlein. Aside from reading, I enjoy a good bottle of red wine, hanging out with my two dogs and traveling both inside and outside of the USA. VM: Progressive Rock is undoubtedly your deliberate choice, but that kind of music is definitely elitist art, at least nowadays. So I can't resist the temptation to put you a provocative question. Having such a wide scope as a songwriter, why did you decide to become part of the musical underground instead of joining, say, much busier musical roads - those leading to the notorious mainstream? EN: That's a good question, and I can give you a very clear answer. I never wanted to be a pop star, and I always wanted to be an artist. Those two ideas are usually in direct conflict with each other. The more fame you have, the more you are motivated by keeping that fame, and the more business (money!) decides what you do in your art. I always play the music I want to play, and that means that I will never be a "famous" musician on the scale of the huge pop stars. But as long as there are sincere people in the world who appreciate the music I do play, then I am a huge success by my own standards. I have lucky enough to make a good living doing what I believe in, and it is absurd to ask for anything more than that in life. VM: The knowledge of your musical preferences suggests to me the thought that you might be quite fastidious in your choice when it concerns (generally speaking) the other principal arts, such as literature and cinema. I am sorry if I am mistaken in that my presupposition, but nonetheless, can you please name your favorite books and movies? EN: I mentioned some writers above, but for particular books, I would cite "The Demolished Man" by Alfred Bester, the original "Foundation Trilogy" by Isaac Asimov, the original "Dune Trilogy" by Frank Herbert, "Neuromancer" by William Gibson, and the most recent, "Snow Crash" by Neal Stephenson. For older stuff, I love the Shakespeare plays, "Macbeth", "Julius Caesar" and "Henry V". I'm not a huge fan of "Hamlet", although of course that's the most famous one. And then the poems of the English Romanticists like Percy Shelly ("Rime of the Ancient Mariner", "Kubla Khan", etc. ), Lord Byron, John Keats, Robert Browning, etc. The American Transcendental writers are also interesting, Emerson and Thoreau, and of course Wordsworth. For later writers, Robert Frost and Thomas Merton. Now about movies, okay, my favorite film is definitely Terry Gilliam's "Brazil" which has turned out to be quite prophetic when you look at current events. After that, definitely Ridley Scott's "Blade Runner" and John Boorman's beautiful "Excalibur". For the big blockbusters, of course all the Stars Wars and Star Trek movies are great. I share a birthday on July 26th with Stanely Kubrick, and I really admire his films, "2001: A Space Odyssey", "Spartacus", "A Clockwork Orange" and "Full Metal Jacket". Stanley had such an identifiable visual style -- I hope to achieve that kind of my own with my music. VM: In terms of both songwriting and performance, your style is strikingly original, regardless of whether I take Rocket Scientists, Lana Lane or Erik Norlander-solo as an example. Nevertheless, what music or musicians have inspired you to be a musician yourself and, perhaps, influenced you as a composer and a keyboardist? EN: Thank you for the compliment. I really try to be original and not derivative. The first album that really inspired me to play music was the first album of Emerson, Lake and Palmer. The piano and organ work of Keith Emerson was just so inspiring, and I had never heard that kind of fusion of rock, classical and jazz music before. Then the album, "On the Third Day" by Electric Light Orchestra really hooked me on synthesizers. I got into Rick Wakeman and Yes shortly thereafter and started to learn about the Mellotron and other classic keyboard instruments. As a composer, I think Roger Waters of Pink Floyd must be the best lyricist of all time. His lyrics are at the same time surreal and poignant; they are vividly concrete, but they also have a fantastic, dreamy quality to them. Musically, I have been the most inspired by the great songs of Jeff Lynne and ELO, Gary Brooker and Procol Harum, Ian Anderson and Jethro Tull, John Wetton and King Crimson/UK/Asia, Alan Parsons and Eric Woolfson, Yes, ELP, The Moody Blues, Supertramp, Blue Oyster Cult, Deep Purple and Rush. I'm sure I could list a lot more, but those are the main ones for sure. VM: Glancing back at the heyday of Progressive Rock, can you say who, to your way of thinking, were the best keyboard players at that time? VM: And who do you consider to be the best keyboardists on today's progressive scene? EN: There are so many great players nowadays. To list just a few, I would certainly note Derek Sherinian, Jordan Rudess, Jens Johansson and Vitalij Kuprij as exceptionally great keyboardists. All of these players have not only technical excellence in their playing but also inventive styles -- they bring something new to what we all do. VM: You own a very large collection of various - analog and digital - keyboards. Do you have any favorite models among them? EN: My favorite instrument must be the modular Moog synthesizer that I have restored. It's this giant analog beast made up of individual modules, most from April of 1967, just a few months before I was born. I started the restoration in 1995, and the instrument was finally playable in 2000, debuting on my Into the Sunset album from that year. I think I have used it on every album since, and I tour with it when possible. Unfortunately the sheer size of the instrument, about 2 meters wide by 2 meters high, makes it impossible to take overseas. Although I did fly it to Europe for a long tour in 2001. I also have a great Hammond organ from 1939, and I have restored and "hotrodded" that instrument quite a bit to really get a unique tone out of it. I think the tone is somewhere between what you would expect from the great Jon Lord and Keith Emerson, and hopefully with some uniqueness to me in the end. The third instrument I would like to mention is the Alesis Andromeda, a modern day polyphonic real analog synthesizer (no digital modeling). I was one of the designers of this instrument, and I have used one at every concert I have played since 2001. Through a very extravagant design matrix, the Andromeda is able to create the sound and spirit of just about any classic analog synth, and it is perhaps the most sophisticated analog synthesizer ever commercially manufactured. You can see photos of all of these instruments on my web site. VM: Whilst in the foundation of the bole of your musical genealogical tree lies the band Rocket Scientists, the roots of the tree lead to the pop-Metal band Joshua, partly touching the legendary Kansas in addition. Please shed more light on your pre-Rocket Scientists years and the formation of that band as well. EN: In the 1980s, I made my living as a keyboard player knocking around the clubs and studios of Hollywood and the Sunset Strip. I played countless gigs at The Whiskey, The Roxy, Gazzarri's, The Troubadour, all of those famous LA hotspots of the time. During this time, there was a great need for keyboard players that could get "modern" sounds and had a strong knowledge of their equipment. In many ways, I was able to get a lot of work through my technical knowledge of synthesizers and how to program them down to the deepest level. So I ended up playing in several hard rock bands, including Joshua and Paul Sabu's Only Child, among others. But my passion was always for progressive music, and Rocket Scientists was the outlet for that. So when I had spare time from the hard rock bands, I would work on Rocket Scientists music. We ultimately finished our first album in 1993, Earthbound, and then I was able to produce the first Lana Lane album, Love is an Illusion, shortly after that. From that point on, I basically left the hard rock world and have lived in the realm of progressive and symphonic rock ever since. VM: I was first introduced to your music exactly through Rocket Scientists - after I bought the group's first two albums back in 1996 in Moscow. I think "Brutal Architecture" is progressively much stronger than its predecessor, "Earthbound". What pushed you and your fellow band mates to quite radically change the group's course and move from a quite accessible, melodically pronounced music which is typical of the debut Rocket Scientists album to, say, the fully-fledged progressive sound on "Brutal Architecture"? EN: Your observation is definitely correct. To understand these two albums, you have to put them in context -- Earthbound was recorded at the very beginning of the 1990s, and also in Hollywood, where pop rock and pop metal was king. There was no such thing as "progressive music" there at that time. So Mark McCrite (v, g) and I tried to create an album that was both what we wanted to do artistically and also commercially viable in that music world. We basically made a pop album album that had progressive elements snuck in. At that time, there was no Think Tank Media, and we didn't know how the band would reach the world market. Like every band, we wanted a record deal and to get our music heard. So Earthbound was crafted in this way -- trying to appeal to the commercial world of the Hollywood record industry but not discarding or even hiding our love for prog music. We had several label offers for the band, but all of the labels and even management companies wanted us to change too many things. Even to the point of changing lyrics! So I came with the idea of starting a production company that would also be a record company when it needed to be. Thus was born Think Tank Media. I released Earthbound, and we started to market it independently. I had the idea that probably a major company would eventually come along and take the band, and that Earthbound would end up as some kind of demo or obscure debut release. But it didn't go that way. While Rocket Scientists continued to be courted by record companies, the Earthbound album sold exceedingly well into the underground world of progressive rock -- a world that I didn't know really existed! We found a huge amount of support from these fans of independent prog, and they encouraged us to take our progressive roots much further. So with this fan base, we embarked on the Brutal Architecture album, a full-fledged progressive rock effort. That album was a big hit in the prog world, and it remains a notable title in our catalog to this day. So Rocket Scientists really owes it extended existence to the very loyal fans of progressive music -- they are what allowed the band to grow and finally spread its wings artistically. VM: Both the band's next studio creations, "Oblivion Days" and "Revolution Road", are equally strong in all senses, displaying the same progressive potential as that of "Brutal Architecture". 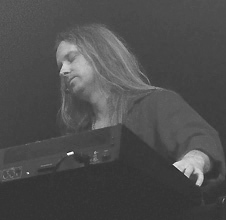 "Oblivion Days", however, is overall much harder and edgier than any of the band's other creations, often steering directly towards Prog-Metal. Can you explain why you reached a decision to intensify the group's sound in such a way? EN: During the time of Oblivion Days, 1998 - 2000, I was very interested in prog metal. I had just discovered artists like Symphony X, Luca Turilli and Angra. I knew Dream Theater, of course, but these other bands had a different take on the idea of progressive metal. As an artist, I was keen to explore a new style. Growing up, I learned how to combine rock with jazz, classical, folk and even electronic music. We even brought in some classic hard rock music on the first three Lana Lane albums (1995 - 1998). But the idea of "metal" was something I had not really explored. So in the spirit of real "progressive" rock, I brought this metal influence into the band. I also did that on my "Into the Sunset" solo album and Lana's "Secrets of Astrology" albums, all recorded within about one year's time. After those albums, I pulled back from the metal sound a bit as I wanted to keep my music evolving. I also didn't like a lot of the darkness and negativity that exists in the metal world, and I didn't wanted to sucked into that kind of dark mindset. I am a very optimistic and positive soul, and I want that brightness to show in the music I create. So while I surely still keep the metal style as an influence, I don't make it as prominent anymore in my music. VM: The first two Rocket Scientists albums were released via Kinesis Records. Can you tell me about your collaboration with them? EN: Actually, it was only the second Rocket Scientists album that was released on the Kinesis label, although Kinesis also released the first edition of my Threshold solo album, too. When we were independently marketing the Earthbound album, Kinesis was a big supporter. The label owner, Larry Kolota, ordered boxes and boxes of Earthbound and sold them very well around the world. If you bought Earthbound and Brutal Architecture in Moscow in 1996, it was likely because Larry and Kinesis had exported it there. So when it came time to release the second album, Brutal Architecture, Larry expressed an interest in releasing it on his own label rather than buying the finished units from my company, Think Tank Media. We went ahead with it, and also with Threshold as I mentioned, and it was a very good situation. Kinesis has been a wonderful partner, and we still do business with them today. The company changed direction several years ago, and they are no longer a record label but rather a retail CD company now. So you can still buy all of our titles from Kinesis, including of course Brutal Architecture and Threshold! VM: Who was the owner of the rights to the albums at that time? And now? EN: That's me. All of the albums are owned by Think Tank Media, my production company. That's also the case with the complete Lana Lane catalog as well. We have recently licensed Brutal Architecture and Oblivion Days to a great Russian record company called CD-Maximum for distribution in Russia, eastern Europe and of course Uzbekistan! VM: Under what circumstances was the live Rocket Scientists CD "Earth Below & Sky Above" created? EN: After we finished the second Rocket Scientists album, Brutal Architecture, we were invited to play at two European festivals, one in Germany and the other in England. We quickly added a few more dates, and then we had the first actual tour of Rocket Scientists. The band had not played live since before the debut album, Earthbound, was released, so this was a big step. Rocket Scientists had been purely a studio project for the first two albums, and now we had the opportunity to turn it into a real live rock band. So we did it! The tour was a wonderful experience, and we were able to record some shows along the way. Since this tour was a real milestone for the band, we decided to release a live CD, Earth Below and Sky Above. VM: This recording also exists as a videocassette. Do you have any plans to reissue it on DVD? EN: We do intend to do that. We have a lot of live footage from over the years as well as some interesting studio footage that goes all the way back to the first album. We have some more live dates booked for 2007, and I expect we'll record some of those performances. So likely late in 2007 we'll assemble a kind of chronicle DVD with a collection of film and video from over the years. VM: What are your thoughts about the future of Rocket Scientists? EN: I hope the band will go on forever. We've tried to make it a dynamic and evolving project where different musicians can come in and contribute from project to project. On the new Revolution Road album, we are traversing a great many musical styles, and that is exciting to me. With this truly "progressive" approach, I hope the band can continue for many years without repeating anything. I think there is a lot of great music out there for us to find! VM: All three of your first solo creations, namely "Threshold", "Into the Sunsets" and "Music Machine", are done firmly in the Symphonic Prog style, whereas the next one, "Seas of Orion", is an album of electronic soundscapes, featuring only synthesizers and percussion. Did you always sympathize with electronic music (as well)? EN: I have definitely been a fan of electronic music as long as I can remember. As a kid, I really loved Tangerine Dream, both their regular albums and their film soundtracks, and also Vangelis, Kitaro and Klaus Schulze, among others. Eddie Jobson made a great electronic album in the late 80s called "Theme of Secrets". That was a really inspiring album to me. I have had electronic and "Berlin School" elements on most of my albums -- I can point to the "Dark Water" pieces on both Brutal Architecture and Oblivion Days in particular -- and I had always intended to make electronic albums in my career. I think my Threshold album has a lot of electronic elements overall, but Seas of Orion was the first wholly electronic album I made. The Dutch Alfa Centauri Festival has been a great supporter of my music, and it was through their belief that Seas of Orion was created. The festival and its record label basically commissioned the album, and I debuted it at the Alfa Centauri Festival in The Netherlands in 2004. I am really grateful to them to have had this opportunity. I hope I can make another album like this in the future. 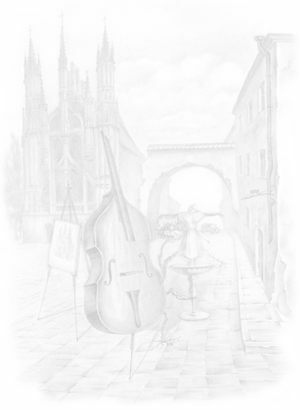 VM: Whilst being a collection of covers, your latest release, "Hommage Symphonique", displays some new aspects of your talent - above all your command of free-modal improvisation. Did you ever intend to make a genuine Jazz-Fusion album? EN: On "Hommage Symphonique", I was definitely happy to have brought in some of my jazz influences in "Children of Sanchez" and "Starless". That whole album was such a joy to record! I don't think I will ever make a specific Jazz - Fusion album, but I will surely keep those influences in my music. There surely some Jazz - Fusion moments on Music Machine, for example. Take the pieces "Soma Holiday" and "Return of the Neurosaur" -- those are definitely firmly rooted in the world of Jazz - Fusion. I think my version of Jazz - Fusion is to combine it with still other influences as a part of what I consider "progressive music" as the over - arching umbrella. VM: Generally, what can we, your fans, expect from your further solo creations? Can you share your preliminary thoughts on the matter? EN: I think I'm still recovering from Revolution Road, Hommage Symphonique and Gemini, so it's a bit hard to think beyond these new albums right now! But I am always writing music, noting ideas, concepts, sounds etc. I am sure there will be some great new music on the horizon. VM: For me personally, your long-term creative collaboration with your wife, singer Lana Lane, is the most obscure part of your work, "Lady Macbeth" being the only Lana Lane album I've heard until now. Please tell me briefly of this side of your activity, touching its most important aspects. EN: It's interesting that you would characterize it like that! In many parts of the world, the Lana Lane music easily eclipses my solo work and Rocket Scientists. Certainly that is the case in Japan where Lana has done exceedingly well. Lana and I have been together since 1987, and I have always thought she is the one of world's greatest vocalists. We have made a lot of albums together, and I am really proud of the whole catalog. I think the most interesting aspect of the Lana Lane music is the combination of Lana's melodic sense and her fondness for classic rock combined with my arrangement and production style which is of course geared more towards progressive and symphonic music. The result is a very unique blend, in my view, and it is music that is sometimes hard to categorize. It's not metal, it's not prog, it's something else. Maybe "art rock" is ultimately the best descriptor. VM: It is well known that Lana Lane is in all senses the most commercially successful act of your company, Think Tank Media. But which of your solo CDs and those by Rocket Scientists are the best-selling ones? EN: For Rocket Scientists, Revolution Road will outsell them all probably by the time this interview is published. It has been extremely well - received around the world, and the band is really pleased with that, of course. For my solo albums, Music Machine is the biggest seller. It's also of course the biggest album -- over 2 hours of music performed by 13 musicians and in the form of a rock opera. I don't judge the "best" albums by how well they sell, but I am extremely happy with both of these two releases, and it is humbling to know that they have sold so many units. VM: During quite a long period your touring band worked as a sextet and, apart from you, Lana and the members of Rocket Scientists, featured Neil Citron, who generally seems to be the most active outside participant of various projects born within the precincts of Think Tank Media. What can you tell us about your collaboration with that musician? EN: I have known Neil since the early 1990s, and he has been a prominent musician, engineer and producer in Los Angeles for many years. We asked Neil to play some parts on the first Lana Lane album when we were recording in 1994, and we just kept collaborating. I think Neil has played on probably 10 of our albums. He is a wonderful, creative and melodic musician with a great spirit. We did two tours with Neil in 1998 and 1999, too, which were a lot of fun. Most recently, Neil helped engineer a lot of the Rocket Scientists - Revolution Road album. So aside from being a great guitarist, he also excels on the technical side. VM: The production of Think Tank Media is equally popular on both sides of the Ditch (Atlantic ocean). But how did you manage to conquer the Japanese audience? EN: In 1995, we became friends with Naohiro Yamazaki who had a record label called Marquee Belle Antique that specialized in importing progressive and symphonic rock music from Europe and the USA. Naohiro really believed in the first Lana Lane album, Love is an Illusion, and also in the Rocket Scientists releases. Naohiro wanted to grow his company into a larger, more mainstream organization, and he knew that Lana Lane could be his flagship artist with just the right crossover between progressive rock and melodic hard rock. So in 1997 Naohiro started the Avalon label (named after the Rocket Scientists song, incidentally! ), and released Lana's Garden of the Moon album. The album was a major success there in Japan due to great synergy of all of us working together, and we have had a fantastic partnership ever since. In 2005, we went back to Japan for the 5th time and recorded the Lana Lane 10th Anniversary Concert, a celebration of the 10 years of our international partnership. VM: You have plenty of tours behind you. Which of them is the most memorable for you and why? EN: I think my 2004 tour was perhaps the most memorable because of the extreme number of kilometers we traveled and all of the places we played. The tour started in California with the 2004 Cal Prog Festival, and then progressed across the USA all the way to American east coast. Then we took the band to Europe and played a wave of concerts there from Madrid all the way to St. Petersburg. It was remarkable to visit all of those different places and meet so many great people in different cultures. Even many of the US cities were quite different from what we are used to in California. And you can imagine all of the different European cultures: Spain is very different from Holland, for example, and England is very different from Russia. What was interesting about this 2004 tour as well is how it transitioned immediately into the recording the of the Lana Lane - Lady Macbeth album, recorded in The Netherlands just about a month after the end of the tour. From the Lady Macbeth album, we embarked on the Lana Lane 10th Anniversary Tour that took us again across Europe, including a great stop at the Sweden Rock Festival, and then on to Japan for the final concerts there. So in many ways the 2004 tour went all the way to the summer of 2005! VM: Are you finding your current audience relatively the same as it was eight years ago? Did you notice any significant changes in the tastes of the new generation of progressive lovers since then? EN: I see less dominance from heavy metal now than I did in the late 90s. At that time, progressive music was really being carried by the heavy metal movement, and I think "prog metal" in many ways saved "progressive rock". Now in the next decade, progressive rock seems to be standing more firmly on its own without so much of the metal influence. Prog metal and power metal remain, of course, as they should, and I still enjoy that music. But I think that progressive rock is growing on its own now, and I am very happy to see that happen! VM: Your latest DVD release is titled both simply and eloquently - "Live in St. Petersburg". What are your impressions from the "northern capital" of Russia and your concerts there in particular? EN: We all had a wonderful time in Russia, and we are actually in the midst of planning our next tour there for 2007. The people of St. Petersburg have such a great appreciation of art and music, and they were very warm and hospitable to us. We had a fantastic tour of the city and made some lasting friends on our last visit. Many people in St. Petersburg told me that my music really reflected the architecture of the city, and that was such a great compliment. I am really looking forward to our return! VM: Did you meet there anything else that you disliked? EN: The only thing I disliked about going to Russia was all of the paperwork and visa business that we had to overcome in order to play there. There is still a lot of politics between Russia, Europe and the USA, and it still seems to be a bit of a barrier between us all. I hope that barrier will come down in the near future so we can all enjoy each other's great cultures and cities more easily and freely. Once we were inside Russia, it was a wonderful experience -- it was only getting there that was the hard part! VM: As far as I know, all your solo works, as well as all those by Lana Lane, have been released in Russia under license. Would you like to have all Rocket Scientists' CDs reissued on the post-Soviet territory under your authorization as well? EN: We are already releasing Brutal Architecture and Oblivion Days through CD-Maximum in Russia. We plan to reissue Earthbound, so we look forward to that becoming available in Russia as well as the new album, Revolution Road. Hopefully all of this will happen in 2007! VM: "It's a hard time to live" would be not a bad epigraph depicting the current state of our beloved genre. So, as the curtain falls, I'd like to return to your company. Think Tank Media is one of a few contemporary independent Prog Rock-oriented organizations that are not only able to survive, but are also profitable. What is the formula for such a success - can you share the secret? EN: I think the secret is this: stick to what you believe, work as hard as you possibly can, and then work a little bit more! We have enjoyed some great successes and also suffered some hard knocks. But I think most people that are successful -- successful in ANY industry -- will tell you that perseverance is the key to enduring success. If you treat people with care and respect and you approach your work in the same way, good things will happen. And a little bit of luck is always helpful, too! VM: Many thanks for doing the interview, Erik. I wish you, Lana and all your band mates good luck for your future adventures in this quite harsh world of progressive music. EN: Thank you, Vitaly -- I appreciate your very thoughtful questions and the support of our music!